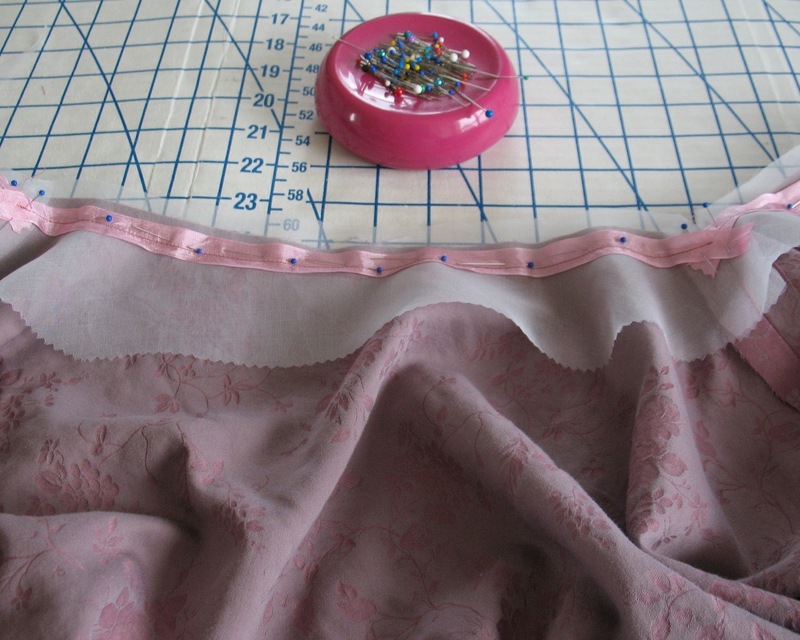 I have been working away in the sewing room. This week it has been a real challenge to get myself out the door to work because I would rather be stitching away. 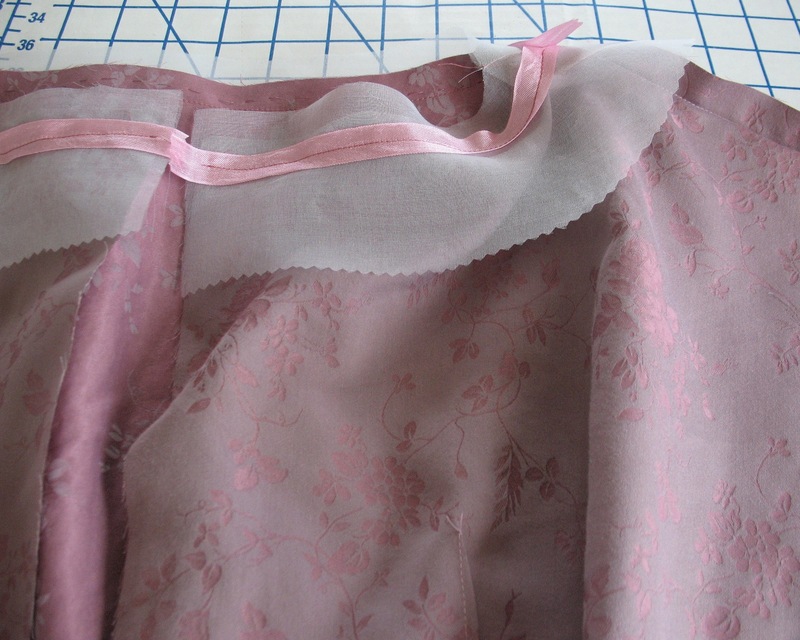 This fabric definitely requires that the zipper opening is reinforced with silk organza. 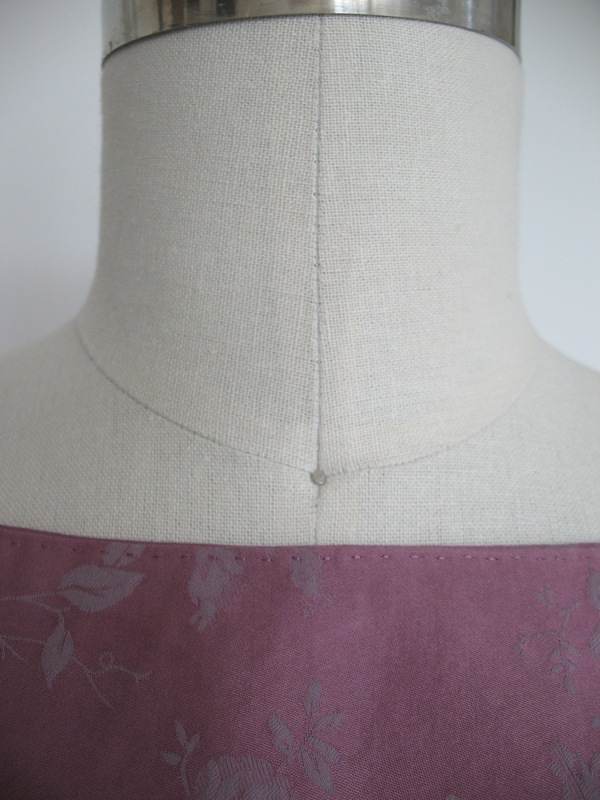 Because the fabric is very lightweight, I felt that it needed some reinforcement around the neckline. 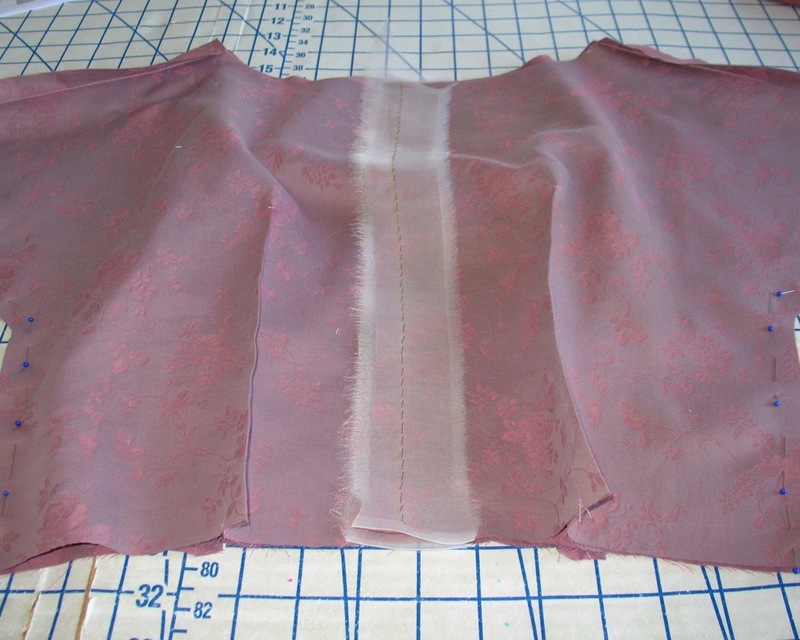 Instead of finishing the raw edges with a facing, I applied an organza facing to the lining that will get sandwiched between the bodice and the lining. 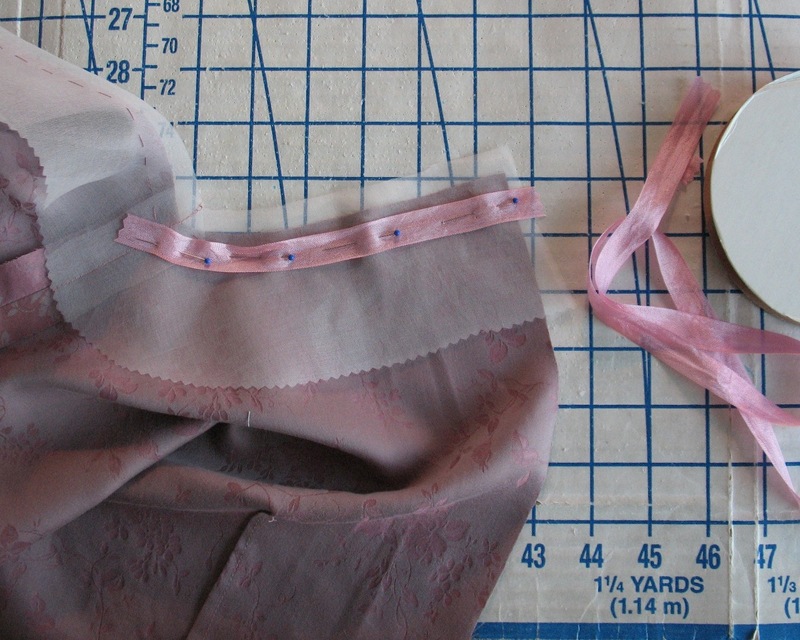 And to avoid any stretching, I used some rayon seam binding as a seam stay. 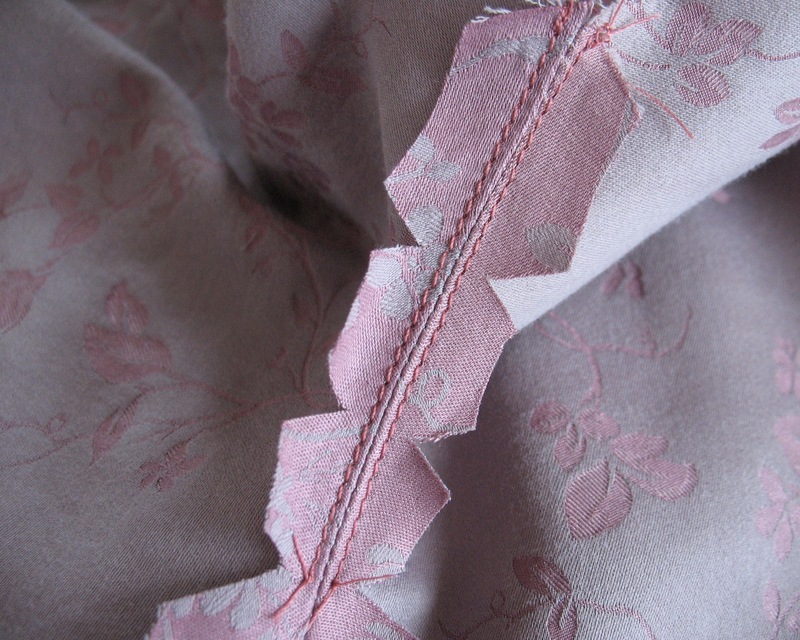 The more time I spend with seam binding, the more uses I find for it! 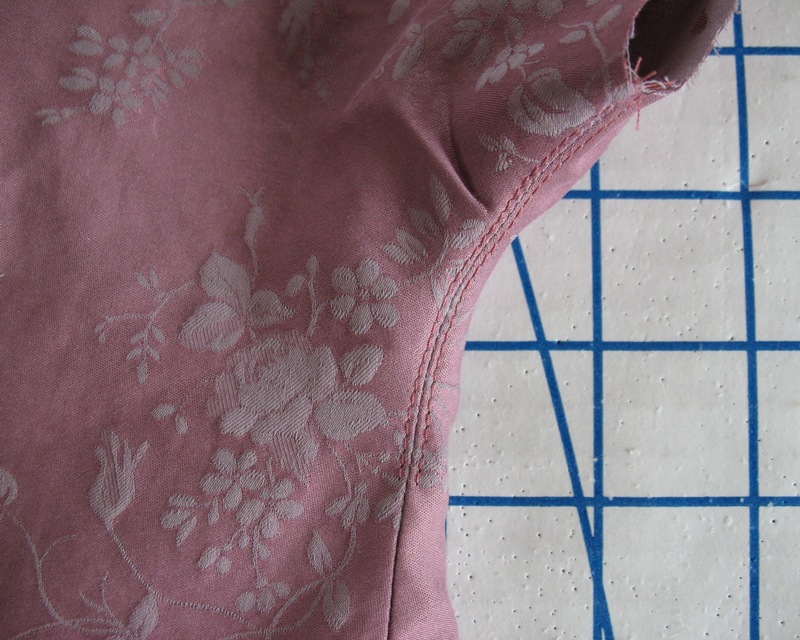 The curved edge of the "sleeve" requires clipping and trimming in order to lay flat, which weakens the area. 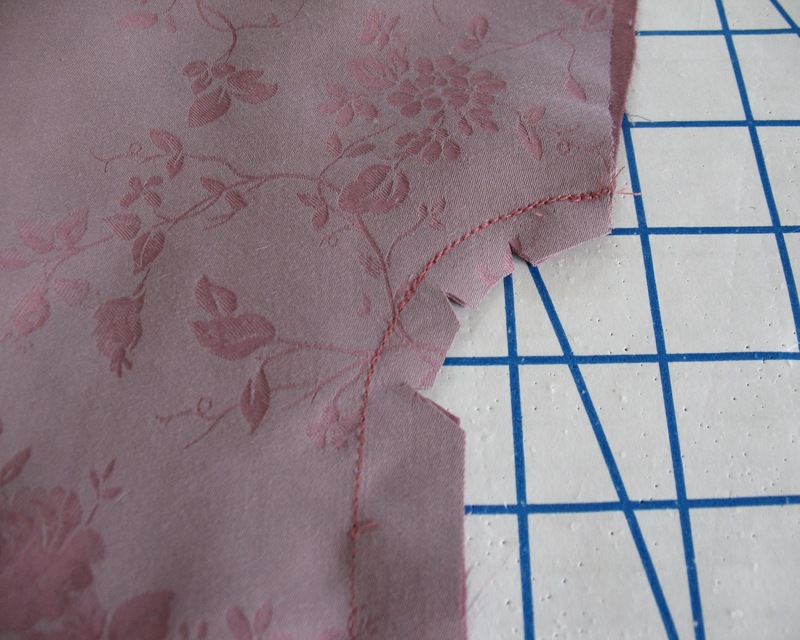 I like to reinforce the seam with an extra line of stitching. 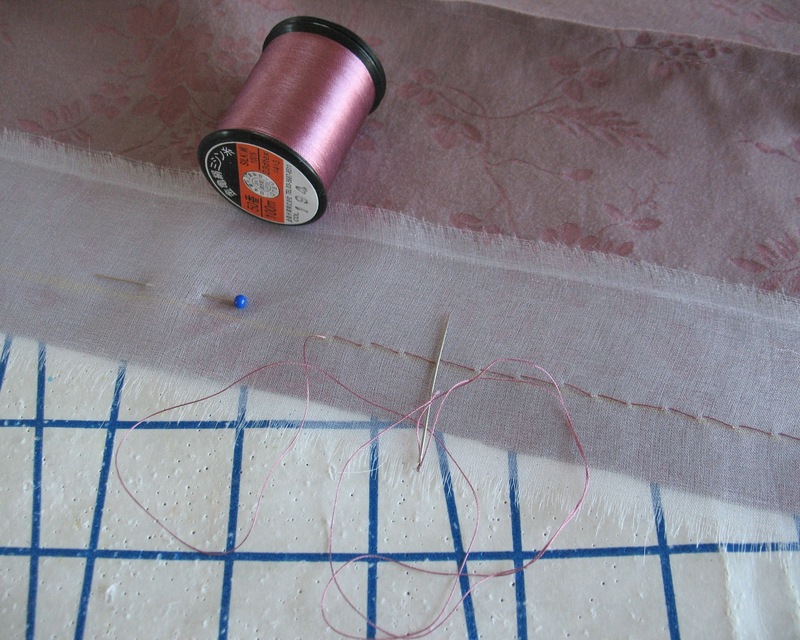 After it is pressed open, I add two rows of top-stitching to the lining for an added bit of reinforcement. Lately, I have been hand picking my underlinings. It works for zippers, so why not a facing? I like the added control it gives. As if I need any excuse to hand sewing something! Thankfully I had some leftover silk thread from last year's Symphony Gala Outfit. 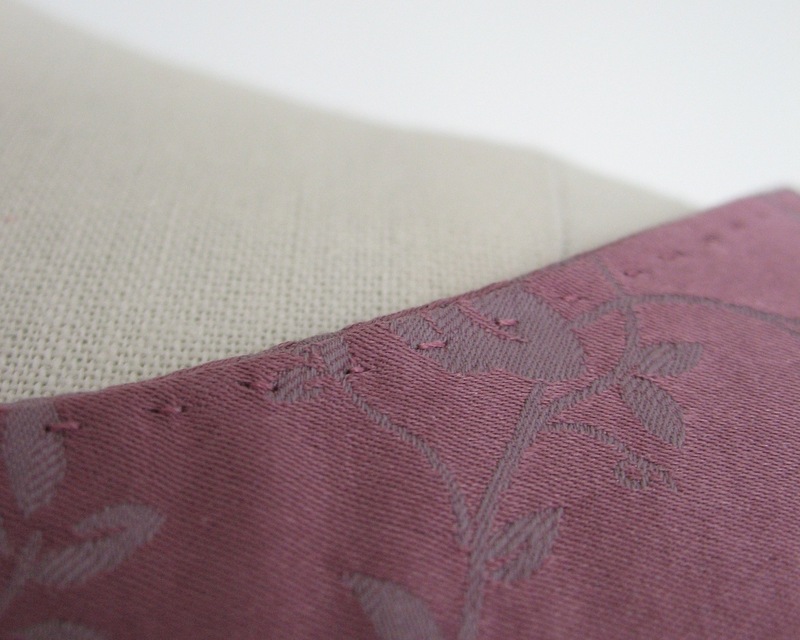 There is something about this color that I clearly find very appealing, but finding matching thread is a real problem! Fascinating. Thanks for the tips. 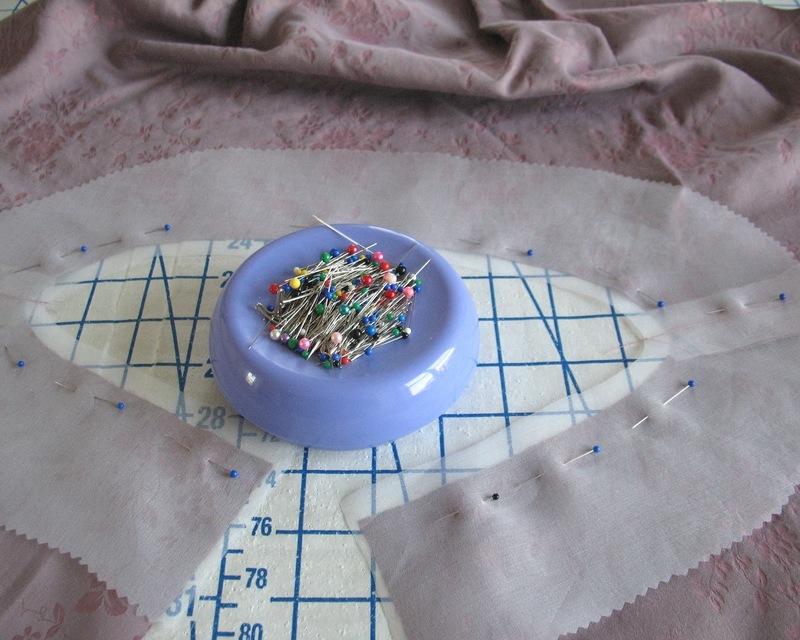 The bodice is coming along nicely. You're not alone, I find this colour tremendously appealing as well. It is elegant and powerfully feminine, two traits I adore in my clothes (and most things in general). This is truly shaping up to be a stunning dress. Oh, this is gorgeous. 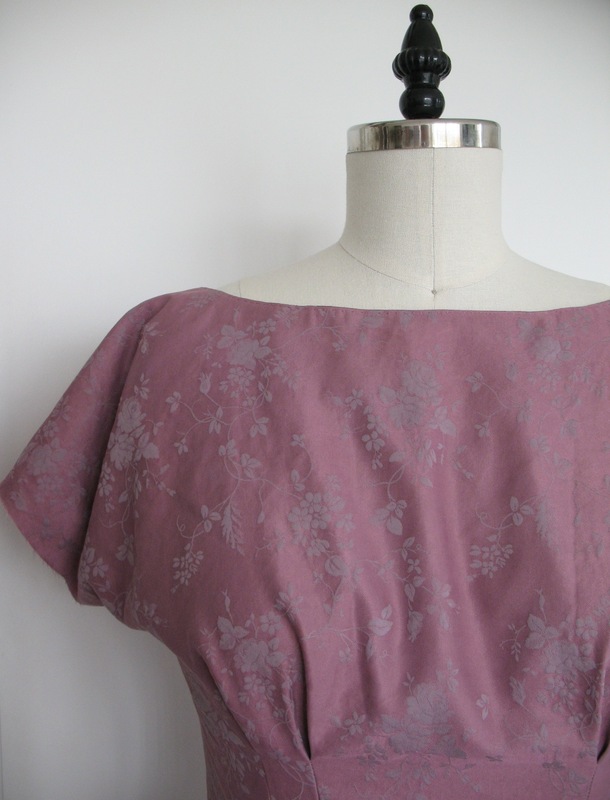 I think I might have pull my Anna pattern out this long weekend... I've been putting it off for some ridiculous reason! This dress is so gorgeous, though, I want one just like it! Good ideas I hadn't thought of. Thanks.